So in an effort to do something a bit more productive with my Saturdays than lazing around my apartment reading the weekend papers from about 5 different countries (given my love for weekend supplements!) I joined a netball team. For those of you who aren’t familiar with the sport (yes I know, that’s nearly everyone), it’s a team sport a bit along the lines of basketball, popular in the UK, Australia, New Zealand, South Africa and a lot of the Commonwealth countries. 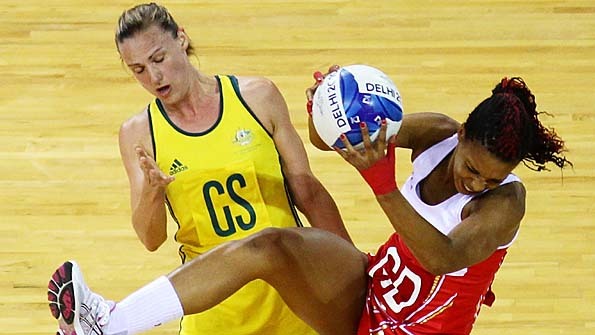 Netball is played in teams of 7 players, with a smaller ball and goal than in basketball. There is also no backboard on the goal and players aren’t allowed to run with the ball, or go in all areas of the court. I’m certainly no expert (very rusty from my school netball days!) but I find netball and other team sports a great way to meet people and to get some exercise (without it feeling like exercise).